As a mom to four kids, I’m always looking for easy dinners I can throw together in a hurry. These Quick and Easy Calzones are one my my kids’ favorite meals! My kids love helping me roll out the pizza dough and selecting their own fillings to put inside their calzone. These homemade calzones are great as a quick weeknight dinner or a tasty appetizer for your next party! It doesn’t get much easier than these Quick and Easy Calzones. Using a store-bought pizza crust makes these absolutely foolproof and allows you to throw them together in a matter of minutes. Start by spraying a baking sheet with nonstick cooking spray and set it aside while the oven heats to 400˚ F.
On a lightly floured surface, roll out your store-bought pizza dough then cut it into 6 equal-sized squares. In the middle of each square, spread some marinara, shredded mozzarella cheese and pepperoni. Fold each square of pizza dough in half to form a triangle, then press the edges together with a fork to seal them. Brush the top of each calzone with some melted butter, then sprinkle on Italian seasoning and grated parmesan cheese. This topping is so delicious and flavorful! Place each calzone on the prepared pan then bake for 10-12 minutes or until they turn golden brown. We love to serve these easy pepperoni pizza calzones with some warm marinara or ranch dressing for dipping. Spray baking sheet with nonstick cooking spray. Roll out the pizza crust, and cut it into 6 equal-sized squares. In the middle of each square, place a portion of the marinara sauce, shredded cheese, and 4 pepperoni slices. Fold the dough over into a triangle, and use a fork to press along the edges of the triangle to seal it closed. Place Calzones onto the prepared baking sheet. Brush the top of each Calzone with butter, then sprinkle with Italian seasoning and grated parmesan cheese. Place in the oven and bake for 10-12 minutes, or until tops are golden brown. 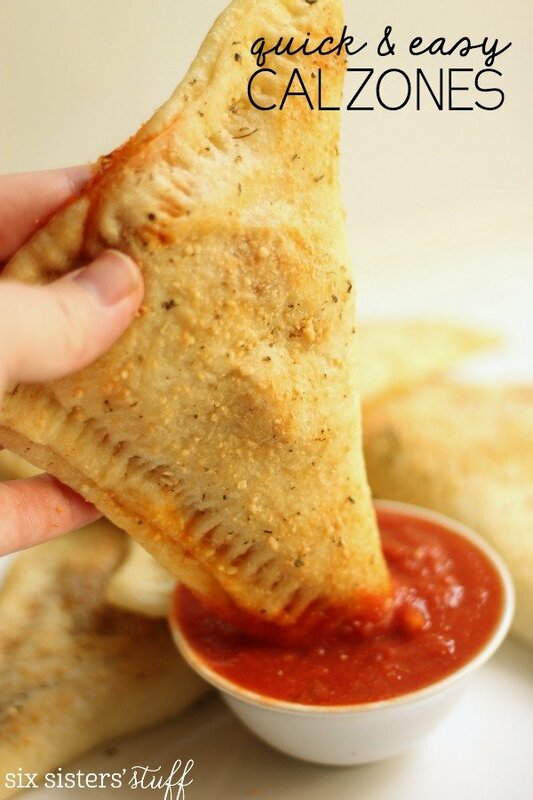 Serve warm with extra pizza sauce for dipping. 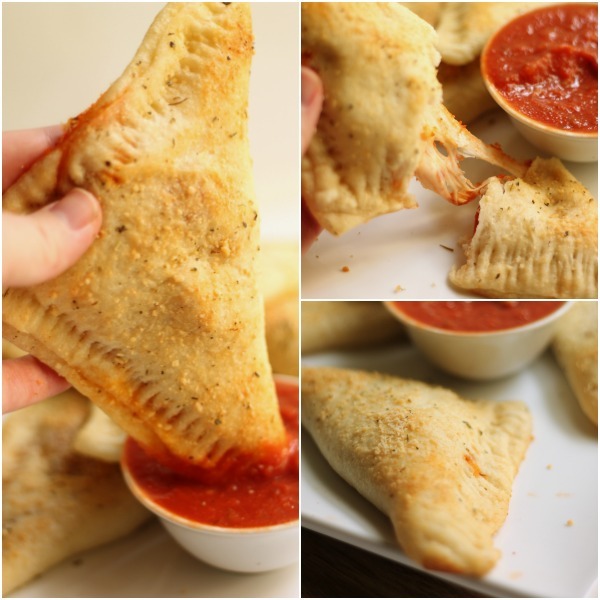 If you love this Quick and Easy Calzones, be sure to try our Cheesy Pizza Rolls! I practically lived on calzones from the little pizza place near me during my senior year of college (uh, Senior 15 anyone?)! Love them! 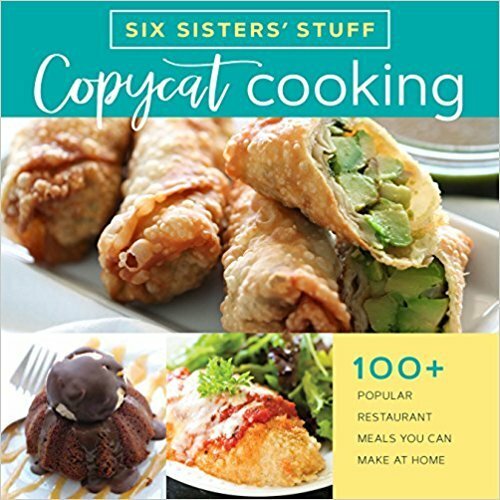 Your recipe looks delicious and is super simple, to boot! Great idea for a weeknight dinner! Thank you Steph. These calzones sound nice. This looks good but calzones are supposed to have ricotta...the shape is different, but the same basic ingredients you listed would be a Stromboli. We have been watching park and Rec and last night, Ben was wanting to start his own fast food calzone. So I decided that’s what we were having for dinner. ??? Ha Ha! We totally love that show! We are so glad it inspired you on what to make for dinner! Have a great week. Can I freeze these and reheat? These should freeze great. Just put in an airtight container or freezer bag. Thaw and reheat in microwave or oven. I used pillsbury pizza dough, and brushed the top with melted butter mixed with the Italian seasoning and garlic powder. Turned out awesome. Thanks so much for this quick and easy recipe. So tasty! I added caramelized onions and peppers for fun. Just like take out pizza, these calzones were wonderful cold the next day! Can could I use pizza sauce instead of marinara? Would that make a big difference. You can totally use pizza sauce in this recipe. What brand/flavor of sauce do you typically use? We aren't too picky about our marinara sauce. We often buy Ragu because it's not too expensive. So anything works great. These calzones are the best!!! Ever since I found your recipe months ago I have been making them for my son almost daily. He likes the pepperoni but I am going to try them with sausage for me.